Scratch-Off Games Are Stepping Forward! 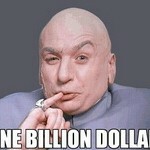 With all the clamor of how much money big name games like Powerball and Mega Millions pays out, the little guy (a.k.a. scratch-offs) is making a stealthy come back. According to CNN Money, instant scratch off games, as a whole, pay out more money to winners than the bigger games. 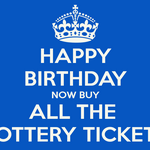 It is estimated that there is $70 billion (yes, with a B) spent on lottery sales in 2014, just in the United States. Oh, but let’s not get too hasty. These aren’t sales for the big games; they are sales from scratch off games! There have been many experiments conducted over the years where people have purchased a large quantity of scratch off tickets just to see how many of those tickets were winners. Some of the experiments have positive results, while others have not been so lucky. Even in these experiments with positive results, the winnings are not that astounding. Many times, the person conducting the experiment would break even or come out slightly ahead. Then you also have people who insist that there is a strategy for playing scratch offs. These people say that when you look at the back of the card, it will show you the overall odds of winning on that particular game. For example, if you purchase three different games with the ratios 1:4, 1:4.2 and 1:4.7, you will have better luck with the 1:4.7 game of winning. However, there have been studies shown that there is no real trick to winning big at scratch offs because you can have numerous winning tickets bunched together. Some stores may not even have any chance of a large paying win! 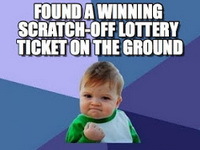 With that said, why does it people prefer the scratch offs and buy them by the bunch? 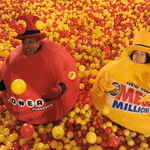 Even though these lottery tickets have a significantly lower payout than the larger lotteries, people are scooping up these tickets by the masses. Why? Statistics show that the chances of winning any kind of prize with the scratch off tickets are much higher. Approximately 70% of all money that you spend on these tickets are paid back to players, whereas only 50% is redistributed to the winners of the Powerball. Perhaps one of the big draws of scratch off games is that they give you instant results—either way. Which would you rather play? A game that gives you instant results or a game that you have to wait for? Another reason these games are so popular is because they are often purchased by people with a lower income. For some, these instant games can be a game changer and totally change their lives if they win the big prize on a particular game. Why, just imagine how far a meager $5,000 payout could do for a person who is trying to make ends meet with what little earnings they have. It can be a huge help in their day to day lives. You won’t see many people who work on Wall Street or have executive jobs toiling away with a quarter in their hands, scratching at a ticket. Even if you did, any winning they may receive wouldn’t feel quite as monumental. Screw Odds, I’m Buying All the Lottery Tickets!! !